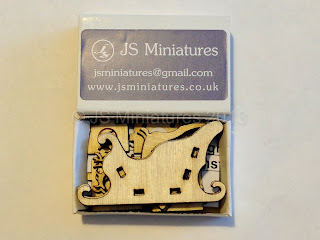 Welcome to JS Miniatures blog. 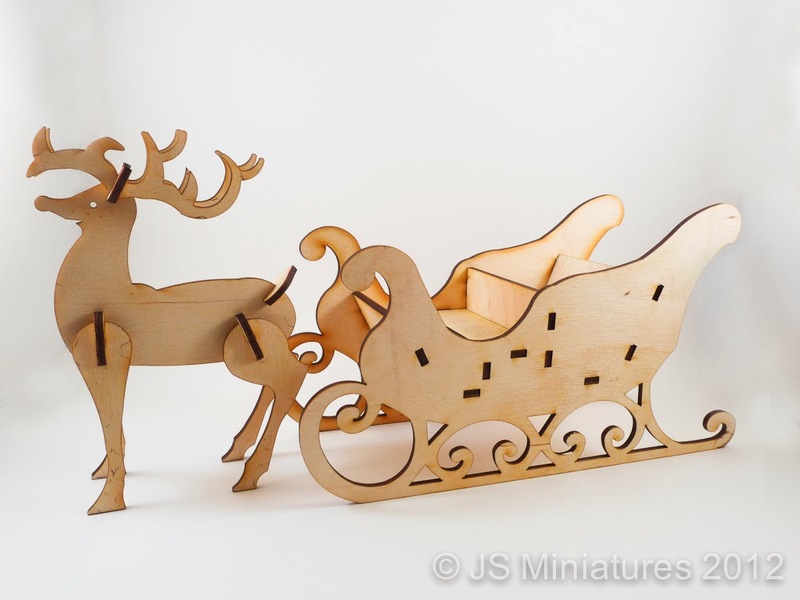 Follow us to get tips on making miniatures & scale models, hear about new products and get the latest news. Sorry for my absence the last couple of weeks. It suddenly got very busy here and I was also away one weekend visiting my sister. To put things back on track it'll probably be a bit of a bumper post! 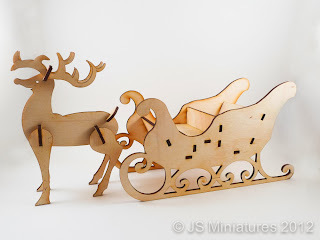 As some of you may well have noticed I now have my Christmas products listed on my website. 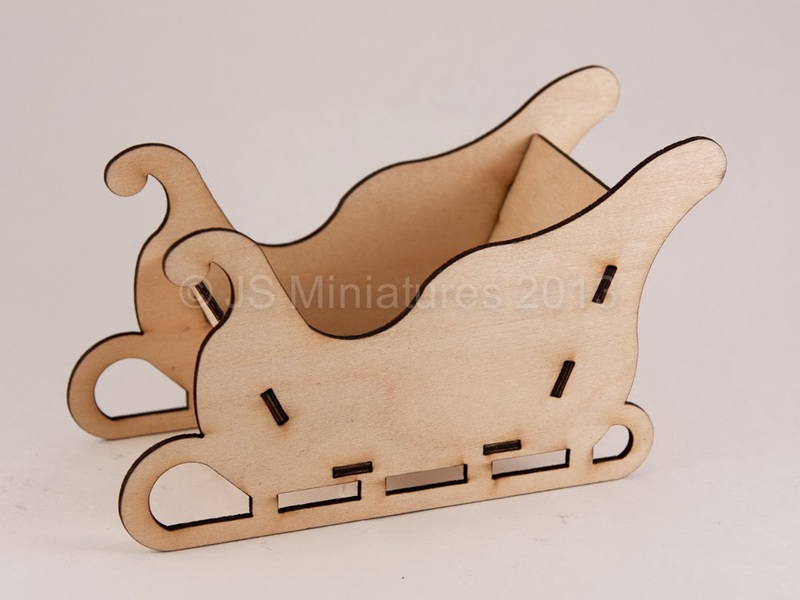 To expand on last years range I have added 2 smaller sleighs so you can now buy one for most scales of dolls house ie 1/48th, 1/24th & 1/12th. 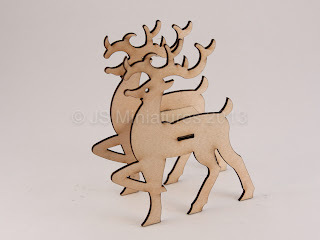 They are also very suitable just as a gift, table centerpiece or general Christmas decoration. 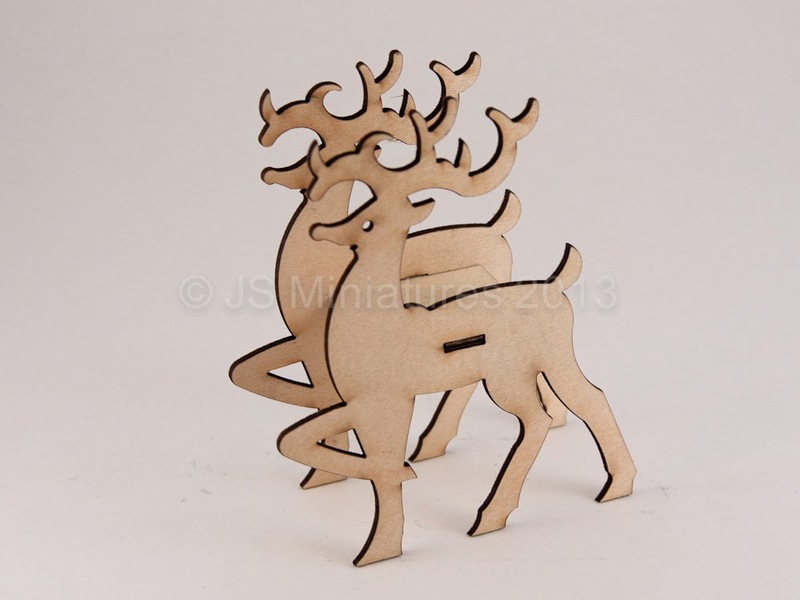 They are all available as laser cut kits which keeps the postage cost down and gives you a fun project for a winters evening! 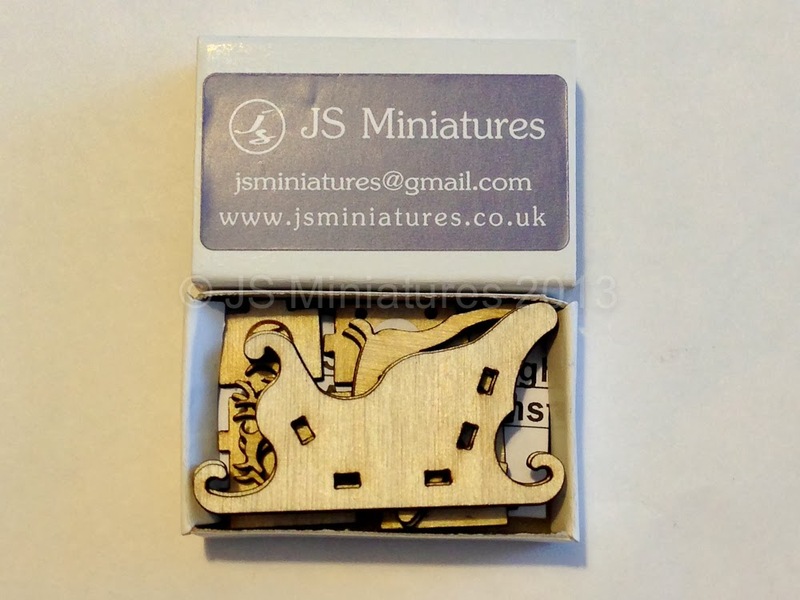 First up is the tiny and very cute 1/48th scale set. The sleigh is just 2" long and it all fits inside a small matchbox, including the instructions! Who could resist such a delightful little package? At only £4.99 it's the perfect gift for yourself or a friend. Next up is the slightly larger 1/24th scale kit. The sleigh is 4.5" long and the larger size allows for a bit more detail in the sleigh. 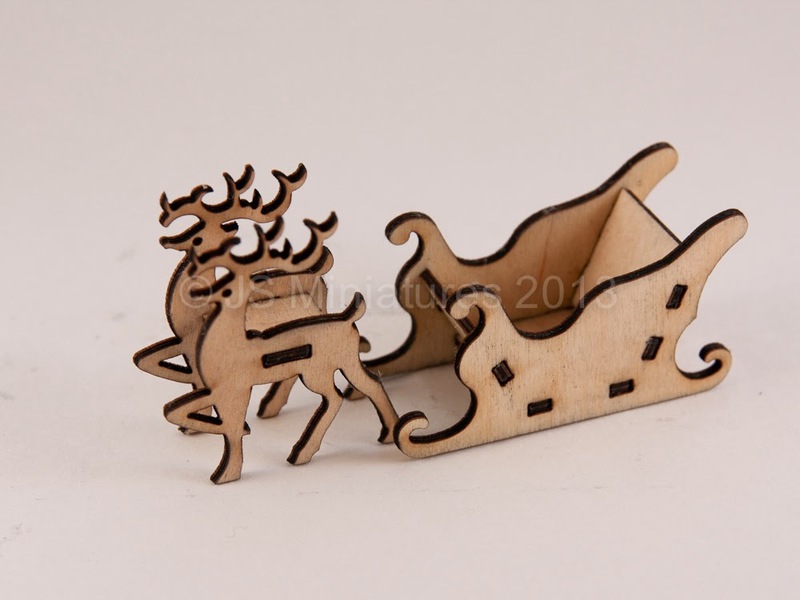 This set is only £8.99 for both sleigh and reindeer. 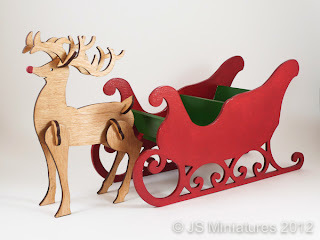 Finally we have the 1/12th scale sleigh and Rudolph which are available both as a complete set and individually. This set is only £14.99 or you can also purchase the sleigh and Rudolph individually. The last couple of days I've been busy packing up all the different kits into boxes in preparation for the Country Living fairs at Glasgow and Harrogate at the end of this month. 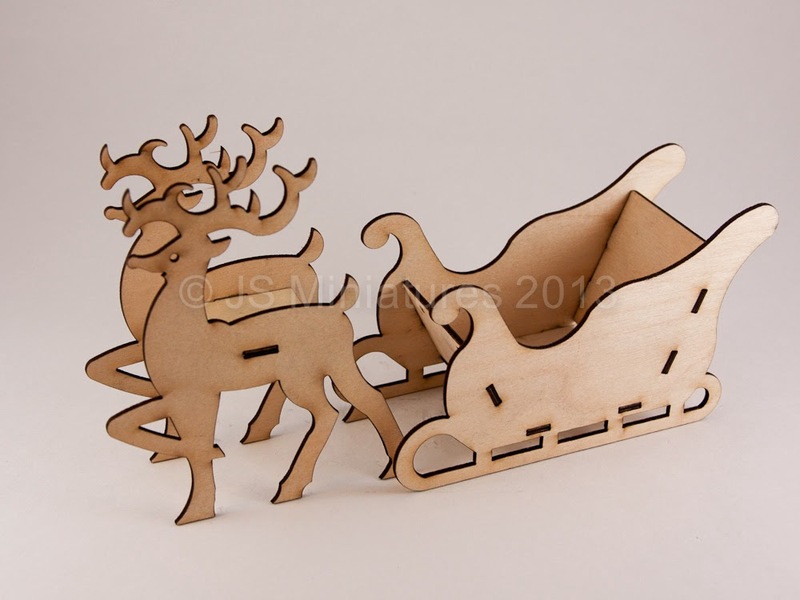 I'm not going personally but I have collaborated with Kirsten Miller of Quernus Crafts who bought some custom made painted sleighs and reindeer for her Santa mice and these will be for sale at the fairs. She is also selling my kits at the fairs so it's a good opportunity to do your Christmas shopping if you're local to either of these events.